Rob qualified from Birmingham Dental Hospital in 1992. 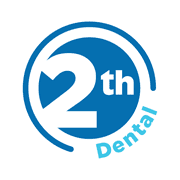 In 1998 he gained a certificate in restorative dentistry from St Ann’s in Manchester, and in 1999 also successfully completed an implant dentistry course. After qualifying Rob worked as an associate in Bromsgrove carrying out routine dentistry and Oral Surgery under General Anaesthetic. He also worked in a local Oral Surgery department. He currently works with several practices providing an implant and advanced restorative service for their patients in their own practice.